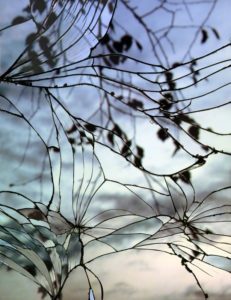 James Harris Gallery | Bing Wright: "Broken Mirror/Evening Sky"
James Harris Gallery is pleased to present Broken Mirror/Evening Sky, a new series of striking landscape photographs by New York based artist Bing Wright. 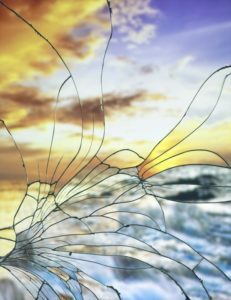 Departing from his usual pared down images in grey palettes, Wright offers us moving skyscape photographs of richly colored sunsets reflected onto broken mirrors. This new body of work marks his return to color photography in almost a decade. The images are meticulously constructed through a combination of traditional documentary landscape photograph and the subtle manipulation of an image in the studio. 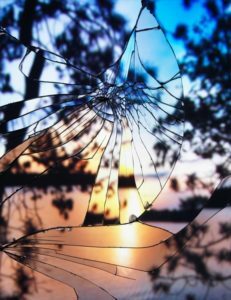 Wright photographs sunsets, then projects the images onto mirrors he has broken in the studio. The mirrors are small, only 14 x 11 inches. The artist re-photographs the reflection and then enlarges the image into a large scale format. This beautiful series incorporates Wright’s recurring themes of abstraction and representation – a contrast he masterfully balances by grounding these shards of images into a bold structure. While more abstract than some of his earlier works, the composition carries a narrative that enables the viewer to collectively experience the beauty of the sunsets the artist has captured, while facilitating individual interpretation of the emotion they imbue. 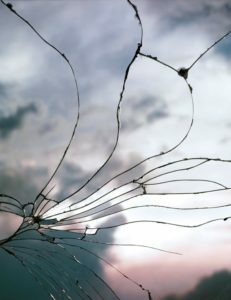 We are presented with pictorial images, fragmented and in disrepair - a reminder that everything beautiful is flawed and imperfect. Bing’s signature large format lends these images symmetry and exact composition, giving them a majestic quality. Bing Wright has work in the collections of the Museum of Modern Art, the San Francisco Museum of Modern Art, the Portland Art Museum, the Seattle Art Museum, and other institutions. He is also represented by the Paula Cooper Gallery in New York.